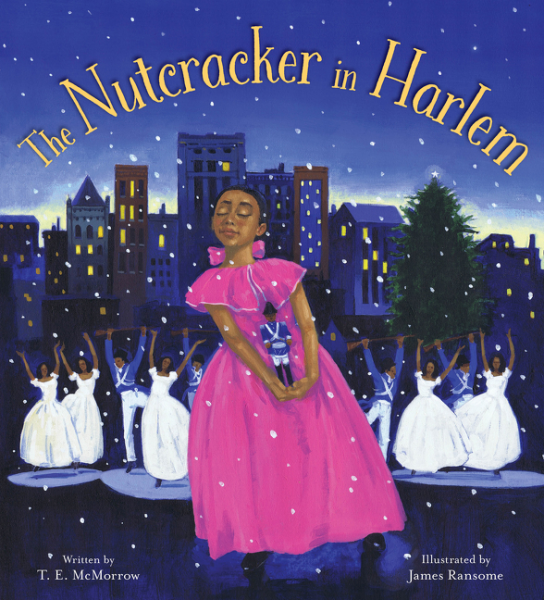 In this original retelling, set in New York City during the height of the Harlem Renaissance, Marie feels overwhelmed at her family's Christmas party -- and while her uncle urges her to sing, she has no confidence. But when she falls asleep under the Christmas tree, her new nutcracker -- a drummer boy -- joins her in an imaginary world where Marie helps save the day by scaring off the army of mice with her drumming. The next morning, a blue drum and her memory of the dream gives Marie the confidence to find her voice. 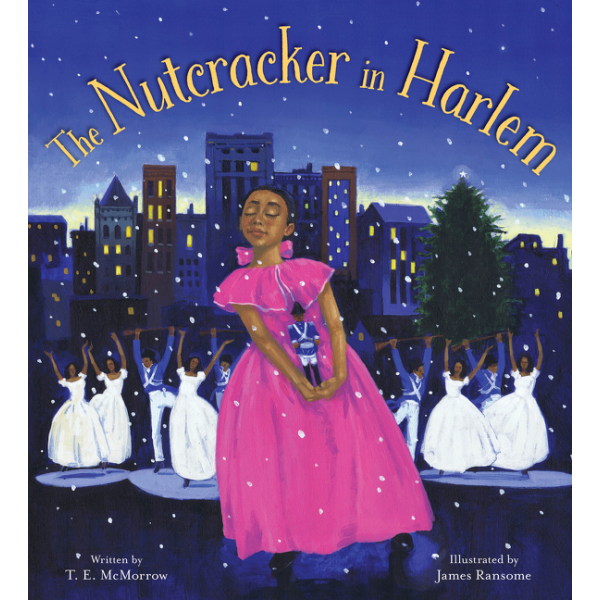 This quintessential holiday tale is brought to vivid life by debut picture book author T. E. McMorrow and Coretta Scott King Award-winning illustrator James Ransome. An author's note at the end provides additional information about the history of the Harlem Renaissance, and about the author's inspiration for this musical retelling.